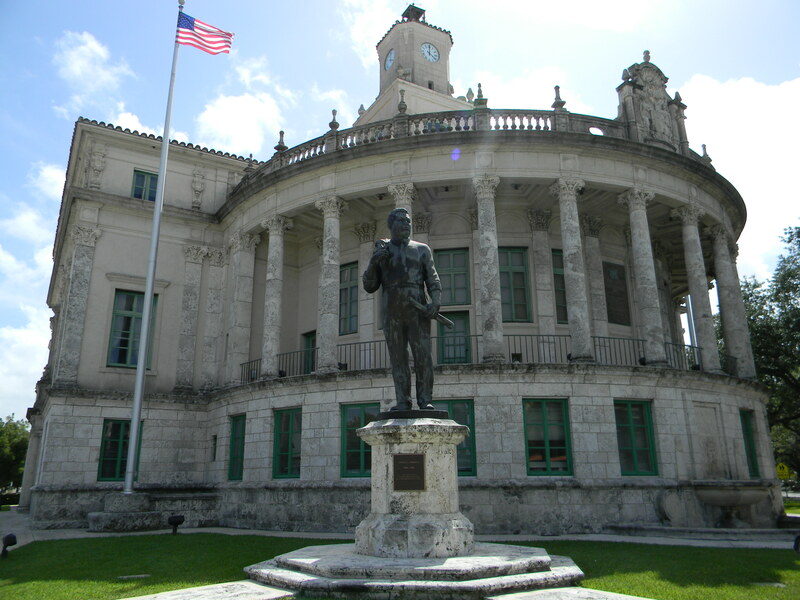 Coral Gables City Hall was built from 1927-1928 to the Mediterranean Revival design of architects Phineas Paist and Harold Steward, and artistic advisor Denman Fink. 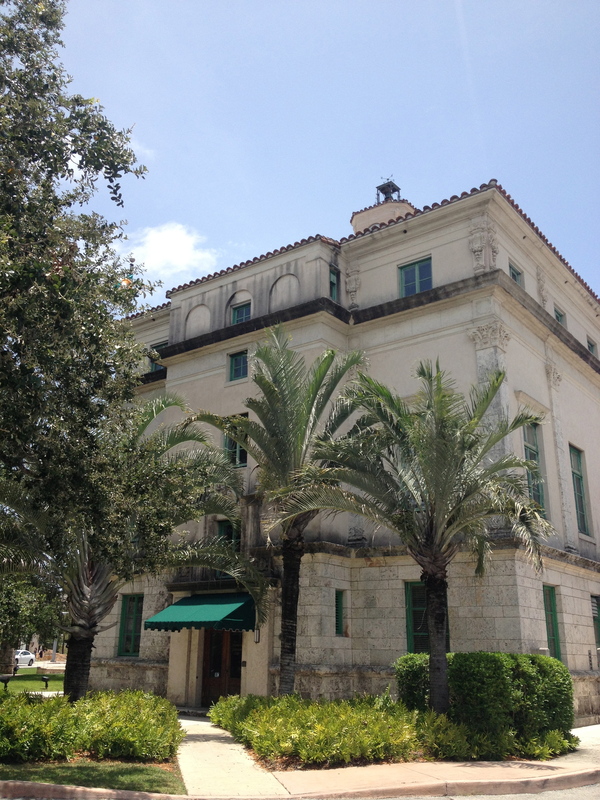 The 3-story Spanish-style building is built of local limestone, has a stucco exterior, tile roof, central 3-stage clock tower, and a Corinthian colonnade. This entry was posted on Thursday, July 4th, 2013 at 2:48 am and is filed under Photo Galleries. You can follow any responses to this entry through the RSS 2.0 feed. Both comments and pings are currently closed.